Here you go. No one has done this so here goes. The last time I saw you, you were on Earth with Call. Although you were a clone, I saw that what made you “you” was there. I also admire that basketball shot- I don’t think it has ever been matched without digital manipulation. You REALLY made the shot! That was in the late 90s. Since then, things have gone sideways. Your name keeps coming up but nothing seems to happen. We seem to be more interested in albinos on steroids now. I cannot disagree- times seem to have changed. Bloomkamp came up with an idea to get you back on the horse but it didn’t pan out. It seems you snubbed a script somewhere along the way too. You did manage to get a well-deserved cameo of sorts in Paul! The unexpected nostalgia was quite the rush and I have been told it inspired nocturnal emissions among some. It seems you may have been lied to about your daughter- Amanda. I joined her on her journey to find out what happened to you and learned that she is made of the same tough stuff and has the grit and sensitivity of her mother. Like you, she is easy on the eyes as well! As much as I would like to see you again, I think it is time for Amanda to continue the journey and you should enjoy your life and do what you want to do. It would be great to see or hear your voice from time to time, but your daughter needs to take the baton and carry on with the mission. Give her the keys and let her drive. I don’t know if anyone has written this to you before- out of respect or fear of accusations of fanboy blasphemy- but it comes from the heart and the highest regards and respect. You are the major foundation of what the Alien franchise has become. You demonstrated that the basic person can become the hero. dk No, just no. Nowadays many think the Skywalker saga should end. So should the Ripley one. Why would we need a clone character like this? Do you realize that every miss-adventure of her Between the 2 movies undermines the second a bit more. So the company had encounters for decades with the Xenomorph, they couldn't catch it because of the Ripley clan antics yet they send less than 20 green men with Ripley herself to handle them? It doesn't have to have Xenomorphs. Isolation and Blackout has created an off shoot canon that can be followed. Amanda could be a fantastic lead character for a new generation and do away with all the time line problems older fans argue about. If we consider Alien Isolation and Black Out as Canon, and we get Sequels to the Story even if they are NOT via a Video Game... it will raise the Questions of HOW did the company gain the Xenomorph, Engineer/Experiment with it and then LOOSE the lot prior to the year 2179? By all means the expansion to other Media is a good way to cash in on the Franchise and offer something interesting, but i think they would have to be CARE-FULL how much we get Amanda Ripley this and that Churned out! Lucky its not a MOVIE... not saying thats a bad thing... if they made a Direct Sequel to Alien Isolation as a MOVIE, it would be a case of having to Explain the Potential Plot Holes and In-Continuity which can only END if we have Amanda and who ever works beside her... DESTROY all the Xenomorph Experiments, Eggs, and Engineer Technology..
Leaving the Company having to go back to LV-426 to START all over again. Not saying in a Movie or better TV Series this could not be pulled off... but they would have to get every Episode or Movie Right on the MONEY. Because it only takes a Few Stinkers or Disappointments, before it could damage the Amanda Character and its a case of too much can NOT JUST cook a Beast... but a Lead Character too. I do think HOWEVER as a separate Alternative Market the Games and Comics could certainly offer Fans something. But how can a Clone with Xenomorph DNA/Regeneration age like 20 years? I had a way around that with my Alien 5 idea but even still i think its something best left alone. 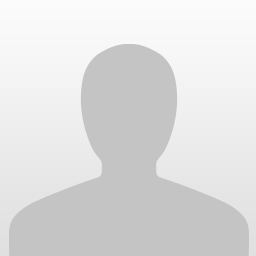 Ellen could appear in voice recordings or as a reference. Resurrection could be the end- we see Earth for the first time in the series and it is wrecked. IMO, it could have Amanda get caught up with WY and work to undermine them. We don't need to find out about the SJ or LV 426. It would likely start after Aliens and go from there while building something of its own. It seems some will be angry no matter how the series continues. It would be tough to blame anyone for not wanting to continue. The Alien Isolation Plot was a interesting take... a Daughter in Search of what happened to her Mother. Ellen Ripley being used in Recordings and Flash-Backs could be a way to introduce Miss Weaver (Flash-Backs you could show her from behind and so not have to show her face). I think if Handled Well... the Amanda Saga could be a way of covering a number of things, that surely would have to END with her and her group being responsible at least in part for the COMPANY losing Everything! But who knows when she actually died... it surely opens up the Story of there is more to her Life than what Ellen Ripley was informed about by Burke. Could she be alive after ALIENS? Maybe... we have to bare in mind.. Ellen Ripley in ALIENS was like about 87? So at some point in the Time-Line after the Sevastopol Incident in 2137 who is to say Amanda could not find herself going into or being placed into Cryo-sleep at some point. My complaint... is mainly with Games and Comics they can go to extremes with little Care of Canon Continuity (mind you that happens a bit with the Movies) and its a case of WHAT effect the many Games/Comics have on Canon. And if we get say 2-3 Comics, a Novel, 2-3 Games with Amanda... if they they decide lets do 1-2 movies... you run the risk over over exploiting a Good Character can lead to Damage to it. If it continues as a TV series with Amanda, it has to at least acknowledge the Ellen voice recordings- the flashbacks with a look alike is also a good idea. You are correct BigDave that it might not be after Aliens- it just has to happen after Alien. I think the best way around is to adopt Aliens DC and assume Burke lied about Amanda. That could go a long way in explaining Amanda's age when she set off to find what happened to Ellen. We discussed in another thread about possibility of using Amanda in a sequel to Isolation as a potential conclusion to David's Covenant arc story.... if we don't get a film. After the Sevastopol she is picked up by colonists on David's planet who by now is Overlording over his established Covenant Colonists (33 years after Covenant). She then goes on to conclude the ENGINEER and DAVID story arc leaving the post-alien timeline unaffected for Ellen. Her story answers the questions of why the Engineers are never seen again after the prequels, except for the derelict. And why David is never mentioned again. This opens up a plethora of avenue's and content to explore without damaging the Canon timeline. Plus it doesn't even need to focus on the Xenomorph. If its a game like Isolation - it will a sequel without more of the same. With David and the Engineers taking up the antagonistic role. Does that affect Amanda's supposed death on earth from heart-attack in her 60's like mentioned in Aliens. Guess what, Burke the weasel lied. Not a hard stretch there. If the Ripley name is too offensive, change it to McLaren. What do you know - Burke was half-right. We know who she is by now anyway. They tried Shaw, people complained she was naïve and annoying. They tried Daniels, people complained she was unemotive and unconvincing. And judging by the end of Covenant probably about to kill off too. Amanda worked. Amanda's character has appeal and charisma that doesn't necessarily stem from the Ripley name. She is like her mother, but also much different. THIS! This needs to be explored in an Amanda-Engineer Sequel!! I Raptus Well Burke only knew about the colony, not about series upon series of space installations blown-up in Xeno-related incidents. If he knew he would have probably never would have join the mission only with a dozen space marines from the idiot regiment. However, some of us liked Shaw (were not vocal about it) and others like Daniels (which was even more like Ripley, remember the rumor that she is Ellen's Mother?- And sorry I've read comments that she is too emotional, not the other way around), and connecting the prequels to Isolation is fan-fiction territory. 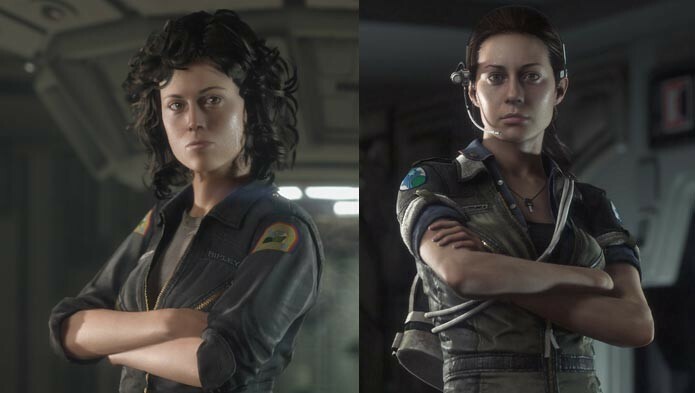 After they exhaust Amanda, I propose to go back and make a game/ animation about Ripley's time between her time recovery in space and the mission on the Sulaco, where she finds out what "really" happened with her daughter and we could also find out that Daniels is her mother. While we are here why not make a movie about Mr Jones fighting off xeno mice and xeno cats? Aliens Resistance released the other day, and after one issue I'm impressed with how they are handling Amanda Riply after Isolation.Not much except that she was adrift in space for 3 days before being recovered so far. Everyone knows Xenos and cats are allies. Jonesey always knew when to hide. Cats place self interest above all else. We saw several Xenos die but never witnessed Jonesey's death. I think Jonesey was last seen chilling on the rescue ship in Aliens.